Thank you for letting me read this. I found it profoundly true — the first I've read that really tried to explore the fears and forces working on an infantryman in battle, It was not easy for me to read though because it awakened long soothed fears and anxieties and some memories that had been covered over by the passing years. 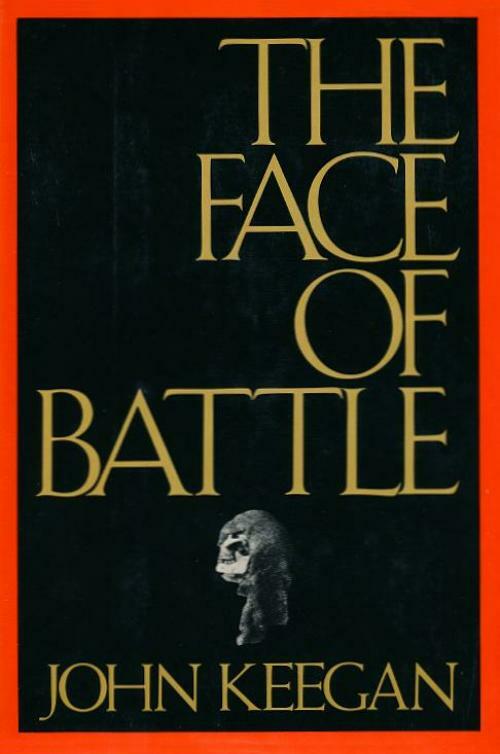 The Face of Battle permanently changed the way historians think and write about war. If the casual reader reads only one of Keegan’s books, it should be this one. He addresses three memorable English battles—Agincourt (1415), Waterloo (1815), and the Somme (1916)—and the essential thesis is the transition from “edged” weapons that permitted hand-to-hand fighting and heroic styles of command through to the erraticisms of musketry in Napoleonic warfare that still allowed commanders to lead from the front of formations to the deadly rifled and machine-gun fire of World War I, which raised the human cost exponentially and moved command miles from the front, leading to the “impersonalization” of battle that, as of Keegan’s time of writing, heralded its end. Edwin M. Yoder, Jr., "Literary Man of War: John Keegan: an appreciation," Weekly Standard, March 3, 2014, pp. 36-38.